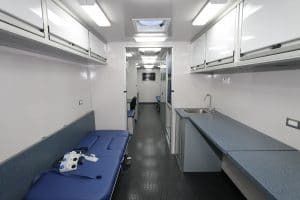 Mobile medical vehicles offer a unique customer experience bringing health services to many people including the underserved and low-income communities. When you’re working with a company to create a mobile medical vehicle, here are some questions to keep in mind. More than ever, people conduct thorough research before making any type of purchase. 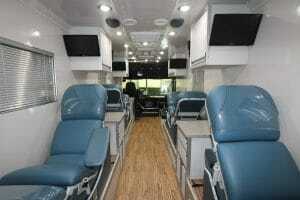 Creating and purchasing a custom mobile medical vehicle should be no different. Conduct in-depth research, make sure the company you choose fits your needs and don’t be afraid to reach out to former customers for reference. Did they enjoy the buying experience? Did the product meet their expectations? These personal testimonies will help create a clear picture of how the company services their customers. Do they provide systems/vehicle training? Systems and operational training is one of the best ways to ensure your mobile medical vehicle is operated properly. Not only does this protect your investment, it also protects employees and patrons. Making sure the company you choose provides this type of training is crucial. Whether you visit LDV’s facility or have the vehicle delivered, we provide complete systems training. Offering complete systems training ensures your users can properly operate your mobile medical vehicle safely. Is there a dedicated parts and service department? One of the most important questions to ask is if the company staffs full-time, dedicated service and support employees. If you have questions, you want to know someone will be there to help troubleshoot an issue or locate a replacement part for your mobile medical vehicle. Don’t be afraid to investigate their responsiveness by calling with an inquiry. At LDV, we stock nearly every replacement and maintenance part to service your custom vehicle. When you need to trouble shoot an issue, LDV has two full-time service employees and two full-time parts specialists to help you find a solution or get replacement and maintenance parts on the way. Checking for this type of service on the front end will help you identify something that could potentially be an issue down the road. 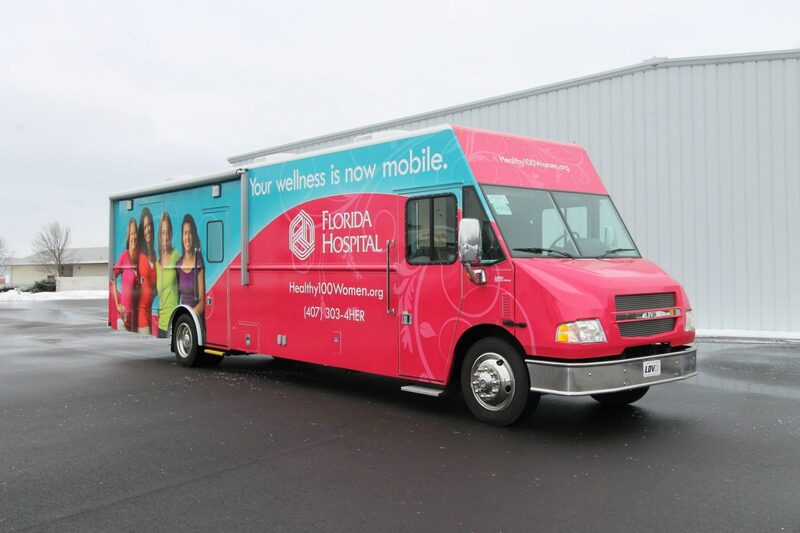 When you’re looking to make a large purchase, like that of a mobile medical vehicle, you want to ensure there are resources to help you when needed. At LDV, you’ll receive systems training for your mobile medical vehicle, as well as unmatched post-delivery support. Read our customer testimonials and see why customers continue to choose LDV for their mobile medical vehicles.